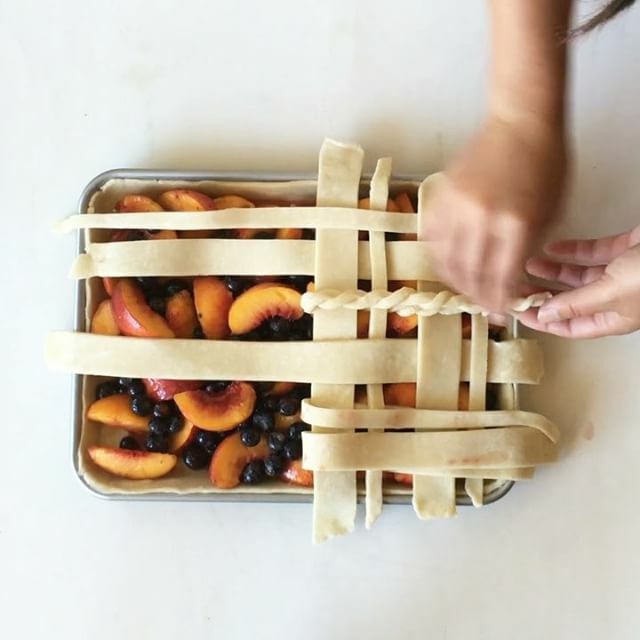 How-to for my mixed lattice rope slab pie. Something like that. Instead of weaving each strip, I did every two and added a single rope for contrast.